Along with the popularity of GoPro sport camera, people have been produced millions of awesome outdoor video and photo works. However, there are a fair portion of GoPro raw or finished files lost due to accidental deletion and formatting, which is a huge pity for the owners. Is there any way to restore precious GoPro files back? Don’t worry. You will find an answer in this article as per GoPro photo and video recovery. Nowadays, GoPro is not only used as action camcorder (Hero series), but also attached to drones (Karma series) for recording videos from the sky. No matter which way you use your GoPro, it is important to choose a high-speed and secure memory card if you don’t want to miss wonderful scenery. With a premium micro SDHC or SDXC card, the recorded GoPro footage will be saved immediately. 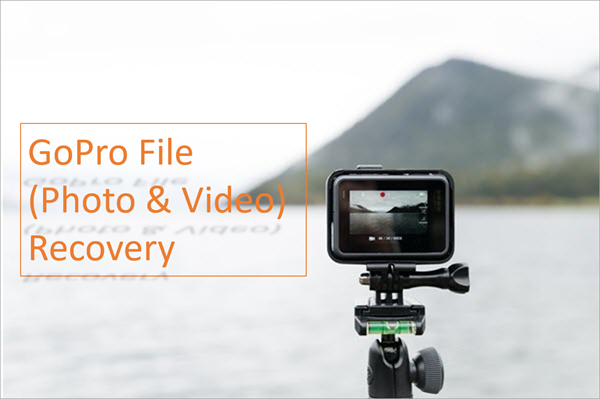 However, when you go home and edit the files, it is common to see that accidents happen and GoPro files are lost due to deletion or SD card formatting. 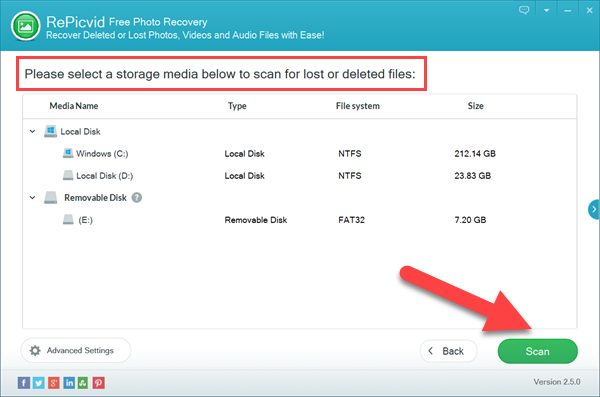 Nevertheless, thanks to the feature of SD card, the deleted files are not erased immediately. The storage system just makes them invisible and mark the space as available. As long as the lost files are not yet overwritten by new files, it is possible to get them back. Now you should know the key factors for GoPro recovery: stop using the memory card immediately, and find a GoPro recovery software as soon as possible. 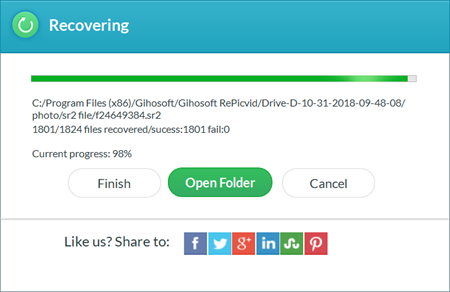 RePicvid Free Photo Recovery is a professional software for retrieving photos (free), videos and more files from memory card, USB flash drive, external hard drive and computer hard disk. If you lose important GoPro files, it is the best GoPro recovery software. Download the free GoPro recovery software, then install it to your computer. Next, connect your GoPro along with the memory card to your computer, and follow steps below. After launching the GoPro recovery tool, you will see options for undeleting different file types. 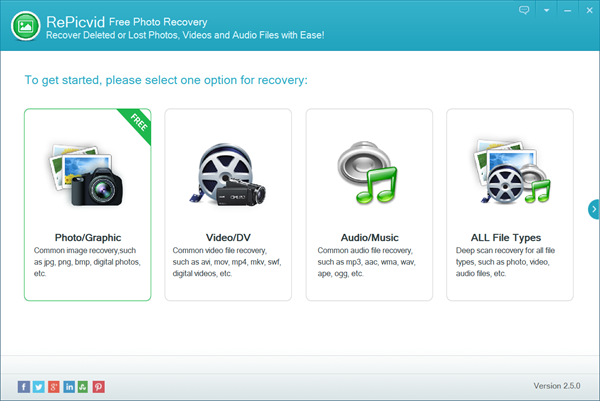 Just choose an option to recover individual GoPro file, or All File Types. The GoPro recovery software will detect computer hard disks as well as connected removable drives. You need to select the partition where your GoPro files were deleted, then click Scan button. When the scanning is finished, you’ll be able to preview the found files and browse for the files that you really need. You can not only view the photos, but also play videos and audio files within the app. Once you find the GoPro files you need, then just select them and click Recover button to get them out. After the recovery, you can view the recovered files in well-organized output folders and reuse them for desired purposes. Isn’t it great to get back deleted GoPro files? 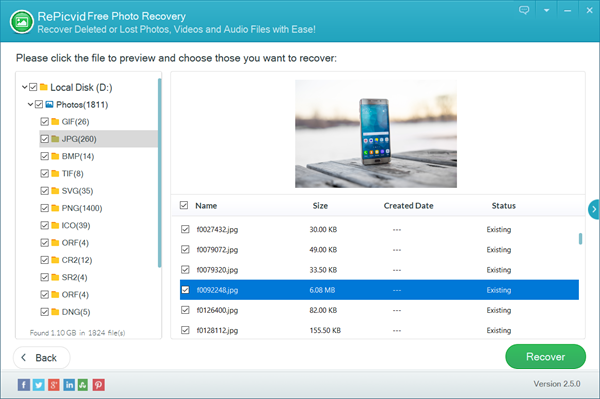 The, you will be glad to know that this free photo recovery software is also able to recover photos from Fujifilm, Nikon, Canon and many more digital cameras. Now, take your camera to record beautiful landscapes. Even though the GoPro recovery software can restore deleted videos, you will never capture the same wonderful video if you miss the current scenery. Kindly share your works with us.